Co-founder Allison Zatarain talks "sisterhood anthems" and why music is stuck in the 1950s. Allison Zatarain isn't here for your sonic gender politics anymore. It wasn't always that way, though. Nearly a decade ago, as she played alongside her band Action Painters, the now-GM of Instant Records caught herself stumbling over the Bobby Darin track "Dream Lover." "I always felt a little afraid to sing the line 'I want a girl to call my own,'" she recalled to OUT. "I felt those words in my heart of course, thinking of all the close friends and alluring women in my life, sort of a je ne sais quoi feeling that had never been expressed." It wasn't until 2016 that a spark hit as she stood in the shower singing "Oh, Pretty Woman." Why feel fear about singing a love song to a woman? It was around this time that Caitlin Jenner dominated the headlines and a mainstream conversation had erupted over the limitations of binary words. Suddenly, the static ideas of "gay and straight," "masculine and femine," and "male and female" had come undone. Seeing the social change, she had a revelation: "What better way to explore the beauty of love and feelings than with music?" It's a question that she's set out to answer with a little help from her friends, a lot of help from women, and a music project called Instant Love. Alongside Instant Records founder and renowned Brill Building songwriter Richard Gottehrer, whose pedigree also includes Sire Records with Seymour Stein, producing the Go’s Go’s and Blondie and co-founding The Orchard, they got to work. Together, this passion has formed a creative force that's upended gendered love songs for a new, diverse generation. Gone are those reservations we've felt singing gendered love songs and in their place, Zatarain has brought a renewed sense of empowerment to music. With Instant Love Volume 1 set to drop on Friday and a full spectrum of projects to coincide with it, she's tossing out the heterosexual language of love songs. Ahead of the album release, we caught up with Zatarain to talk "sisterhood anthems," why music is stuck in the 1950s, and her three simple rules for degendering love songs. OUT: What was your process for picking out the songs? How about the artists who reimagined the songs? Allison Zatarain: Once the idea materialized, I went on a song spree and boy was that fun. I combed through the catalogues of all the classics, as well as newer pop songs. The criteria helped narrow it down: the track had to have been sung by a man to a woman; feature female-specific language; and be about love. Now I have a private Spotify playlist with about 60 songs that I present it to all the artists who want to get involved. Some choose their own song whereas others pick one from the list. We chose to reinterpret classic love songs at first rather than release originals because I wanted to make a statement about how previously, people would change the gender and lyrics when covering a song, which always breaks the fourth wall for me when listening to music. Why is music still stuck in the 1950s? Also, who can pass up the opportunity to record such well-written songs that never age? Last year was a landmark moment for the #MeToo movement. How do you see this project fitting into this ongoing push for equality? It's been wild to watch our culture evolve since we began Instant Love. I had not imagined these songs to be "sisterhood anthems," but I totally welcome that angle. I'm not one for politics and the mudslinging involved, so I like that we're encouraging empowerment from within, rather than being "us against them." In that way, I do feel we are contributing to equality and the bravery and camaraderie it takes to get there. Do you have any new year's resolutions that tie into this project? 2018 is poised for massive growth. 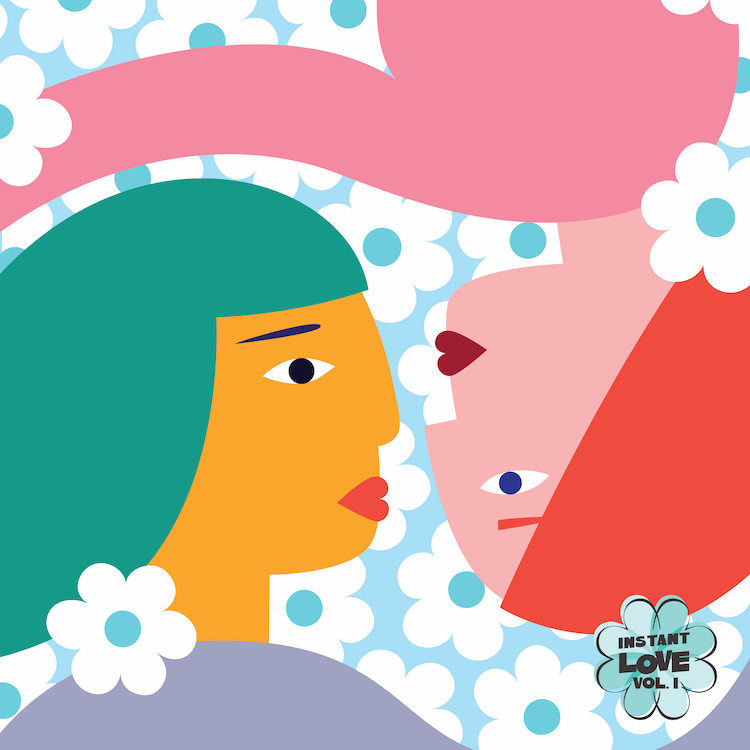 We're launching the Instant Love Podcast, more Instant Love Nest interviews, a series at Rough Trade Brooklyn, and of course more artists in more languages and genres. Instant Love Volume 1 is out on Friday and it's so exciting to hold the physical product. We may even a record an original song—we're talking with some really epic songwriters. Oh, and we’ll also be partnering with PFLAG, Women’s Audio Mission, and Studio Samuel. With The Orchard as our partner, I intend to continue to make this music as long as I'm able. In your own words, tell me about the importance of hearing singers cover love songs and bend the gender of them. The most rewarding part of the project for me is the new meaning songs have when the narrator changes. When I heard "Kind Woman," I thought of my mother and the primal desire to receive love from her. When I heard "Crazy Love," I thought of my sister and her daughter. "Peaceful Easy Feeling" brought to mind that special female friendship when you come of age at 12 and 13, while "American Girl" went from a rock song to a sad and empathetic song coming from the female gaze. "Amy" felt like that magical world you can escape to with a friend. "I'm Your Man" by Holly Miranda took that expression and turned it upside down, and "You Really Got Me" echoed that frenzy you get when a woman is stuck in your mind. I just can't wait to see what future songs uncover. This is a journey, and I hope listeners everywhere connect with this movement. Instant Love Volume 1 will be released everywhere on Friday, January 19th. Preorder your copy here.